From what I have learned, not many people know what Misophonia is. If they do, their response is “Oh, isn’t that a fancy name for pet peeve?”. This might be the most aggravating thing to experience when explaining a challenging disorder. We need to ensure that people realize that a pet peeve won’t trigger you. When it is merely an annoyance you will not consider punching a wall. A pet peeve won’t upset you so much you fall down shaking in panic and start crying. A pet peeve won’t bother you so much that it makes your heart beat so fast and you feel like the sound is going to suffocate you. A pet peeve does not make you feel like there is no way out. A pet peeve won’t trigger the response of me falling apart either mentally or physically. After my trigger sounds. sometimes I don’t even feel like myself. I feel like I’m looking at someone else, someone else that I don’t want to be. Then, I remember, that it is me. It gets hard sometimes to see myself without the flashing words of “you’re not a whole person, you have a disorder“. There’s times, admittedly, a lot more than I am willing to accept, where I listen to that flashing sign. There’s other times where I know I am more than this disorder and I am a whole person, disorder be damned. Accepting that you have something wrong with you and that its out of your control is sometimes the toughest pill to swallow. At least, it has been for me. For my whole life I never knew why simple everyday sounds bothered and upset me so much. I couldn’t fathom why sounds of bare feet on the ground and people whispering and floors creaking and so many other sounds ruined me from the outside in. For some time I thought it was normal and that everyone felt that way. Suddenly, I realized that it wasn’t a normal reaction. What was happening to me isn’t normal. 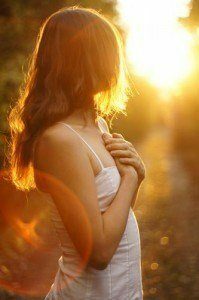 I then thought that I was alone in what I was feeling, no one could understand me and what I was going through. 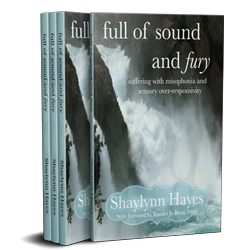 One night, after a breakdown, I went searching online for answers and I stumbled on Misophonia. As I continued my search I realized that all these symptoms matched with mine, that I could so easily relate to all the stories of other sufferers. I realized I wasn’t alone, that there are people out there that understand me and I’m going through, and it brought so much joy to me. But then it hit me, there’s no cure for this, this is what I have to deal with for the rest of my life. This isn’t going away. I was listening to a press conference on misophonia and this woman, I think her name was Steph, was explaining her story, and how when she found out she had misophonia she said, “when I found out what i had, it was great. But I also knew what I had and I had to live with the realization that it would never get better.” This spoke to me. Misophonia isn’t easy to live with, hell, I wouldn’t wish this on anyone, but that doesn’t mean it’s impossible. Misophonia is livable, if that makes any sense. You can’t let the misophonia run your life, you have to see yourself outside of this disorder and make something useful out of it. Maybe it will inspire you to help others with disorders or to help others in general, no matter what you make out of it, make sure you get the best out of it. 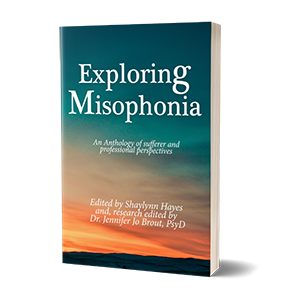 You should have a mantra, “I am more than my misophonia” repeat in the mirror. On the way to school or work, tattoo it on you if you please. Just remember: you are more than this, you are more than anything that tries to limit you. If you believe in a God, believe that whatever God you believe in, must have some plan for you, and if you don’t, like me, know that, this is out of your hands and not your fault. 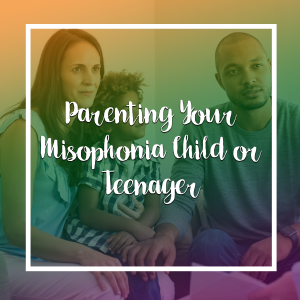 Don’t blame yourself for having misophonia, accept that it’s something you developed and live your life. Why? Because it’s all you can do.